Keep your little one feeling great in this luxury soft velour baby grow, perfect for everyday comfortable wear. 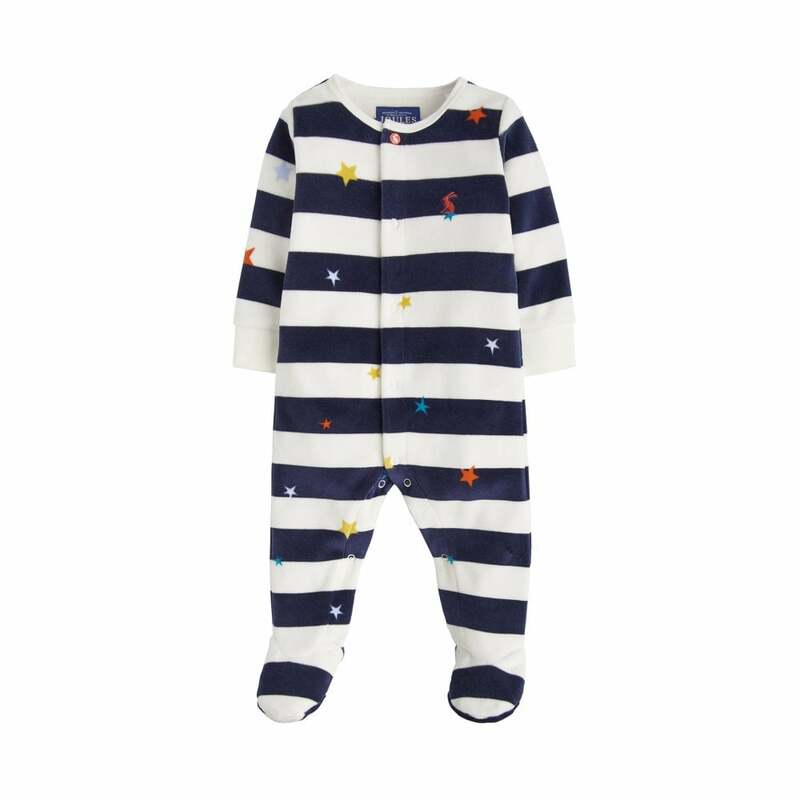 We love this adorable navy star stripe pattern! Its also got lots of poppers to make life as easy as possible!